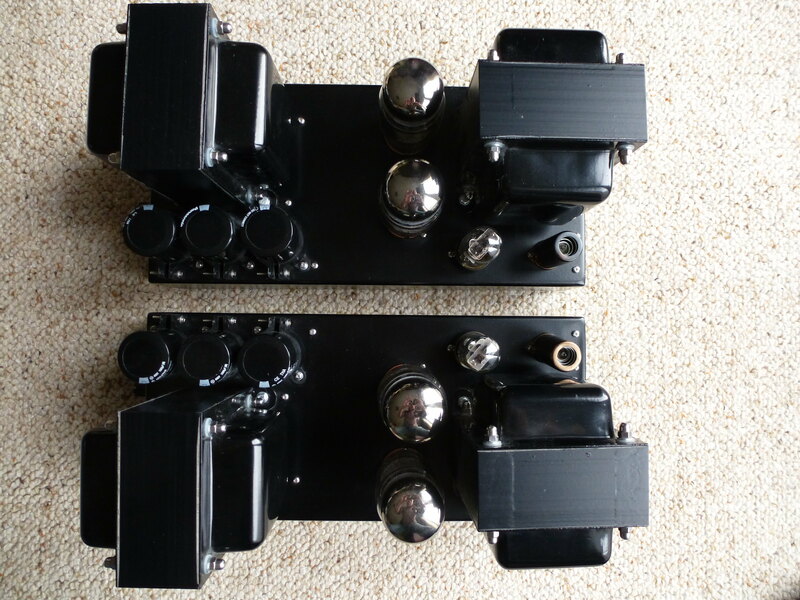 This pair of monoblocks were custom built by John as mirror images Designed to allow close positioning to speakers or both units on a single rack shelf - probably the top shelf as the transformers are huge, taller than the valves. At a risk of sounding like a fanboy I think I can honestly say that most people who have owned John Wood's amps reckon they are the best they have heard/owned. They are hand built, including the transformers, by John in Nottingham. Build quality is exemplary although the looks might be considered a tad functional. You will note for example on the power amps how the transformers are set at 90 degrees to maximise performance. What you cant see is the other 2 transformers inside each power amp and the super neat and tidy wiring. pots to adjust overall bias and bias on each output tube. not only nice looking but great sounding! I would almost like to buy them just to put on show! Absolutely stunning. Those chassis would look superb with a coating of car wax. Very best of luck selling them. Oh they are lovely, my mate has an KT88 integrated from JW and their output is awesome. Drove my Boenicke W8s with ease at the Kegworth show, and I use a 500w pc SS amp at home, these speakers are rated at up to 1000w. Good luck with the sale. I have a JW KT88 - "2 in 1" monoblocks, in custom blood red. It is awesome!! Before that I had his "6L6", also excellent but I had to sell it to buy the KT88 (i.e. I'm not rich - lol). Excellent build and only took a month to manufacture, despite horrible Siberian weather! Spotted yours on Hi-Fi Shark. 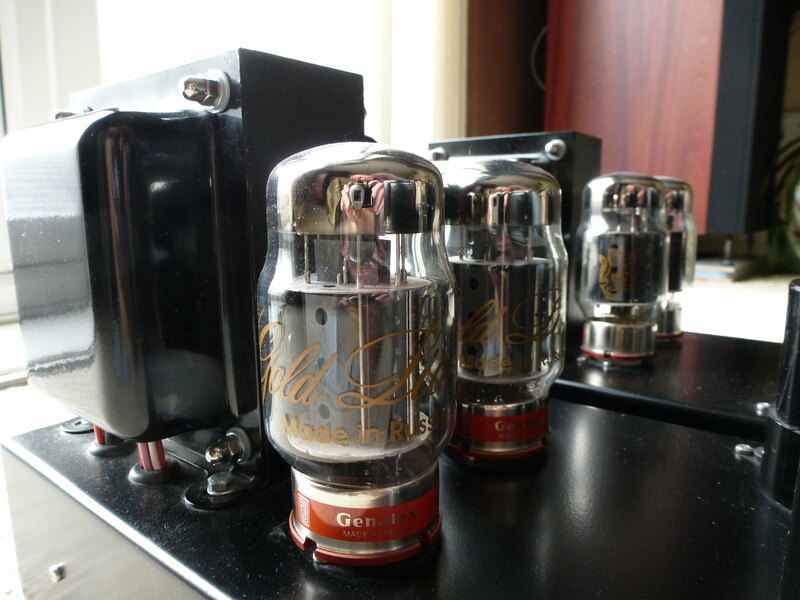 6L6GC Russian Original (no logo) Output Tubes 4x, supplied by J.Wood. M2Tech Hi-Face 2 RCA USB to S/PDIF (co-axial) converter. HP Pavilion G6 - 2382sa D0Y14EA#ABU + "The Teddy" 19/3 - 19V 3.5A LPSU. APC ‘SurgeArrest’ Surge protector - PM1W-UK (Schneider), + AG500P Power Inspired mains – ‘pure sine wave’ re-generator. The JW KT88 are awsome amps in any guise, I am sure the wait was worth while. 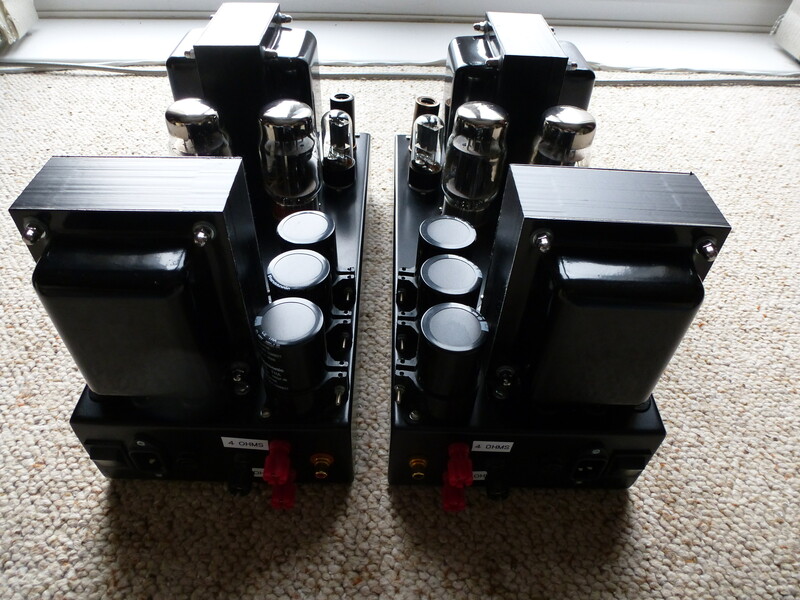 Most of the JW dual mono single chasis versions I have seen share the mains transformer, my monoblocks use the same mains transformers as the single chasis versions but there are two of them, one per channel. Good luck with the sale as they look absolutely superb....if only I had spare hifi funds!